Colt US M1911A1 slide in very good condition. 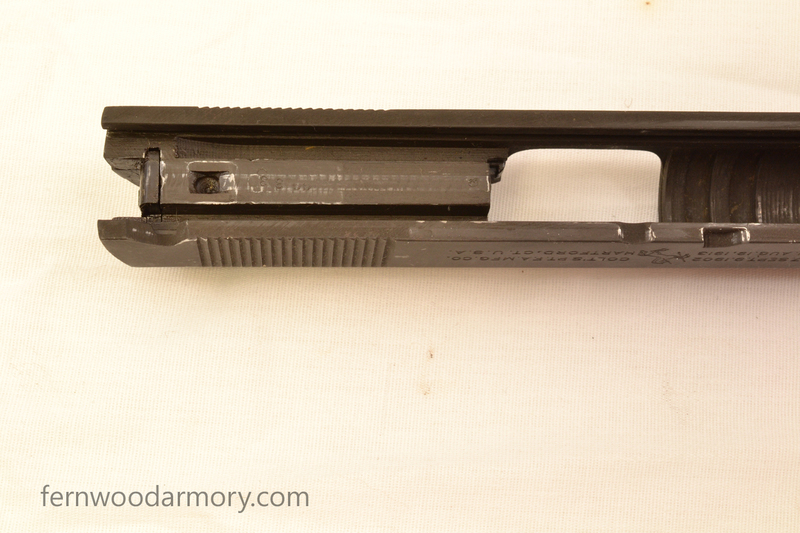 This slide can be used on any 1911A1, but is correct for the serial number range 700,000-710,000. The left side of the slide is stamped "PATENTED APR. 20. 1897 SEPT. 9. 1902 DEC. 19. 1905 FEB. 14. 1911 AUG. 19. 1913" followed by the Colt logo, and "COLT'S PT. F.A. MFG. CO. HARTFORD, CT. U.S.A.". 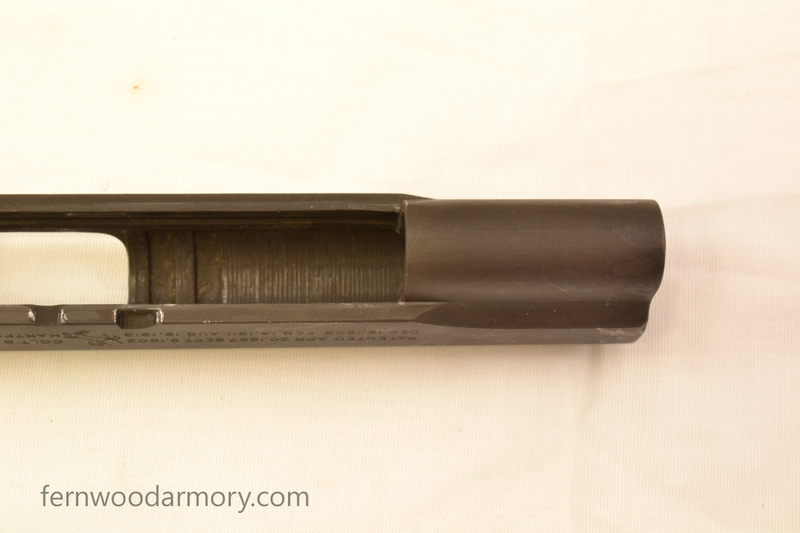 The right side of the slide is stamped "MODEL OF 1911 U.S. ARMY". 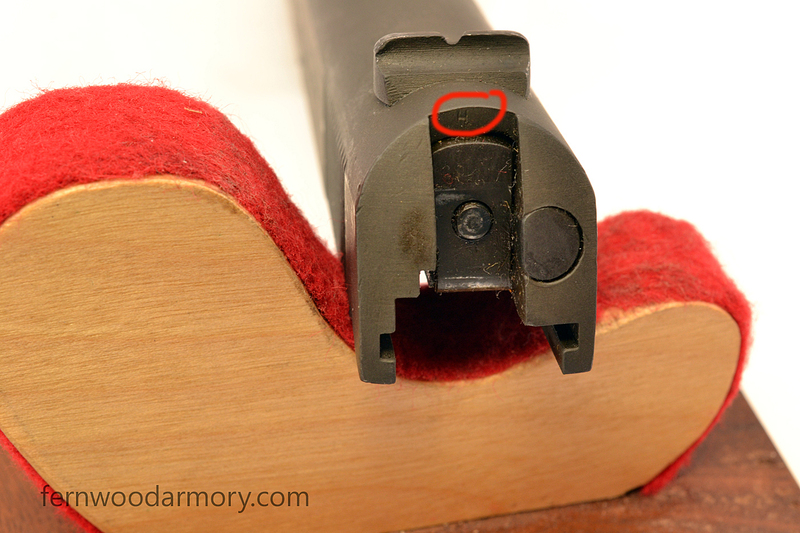 An "H" is stamped above the firing pin. 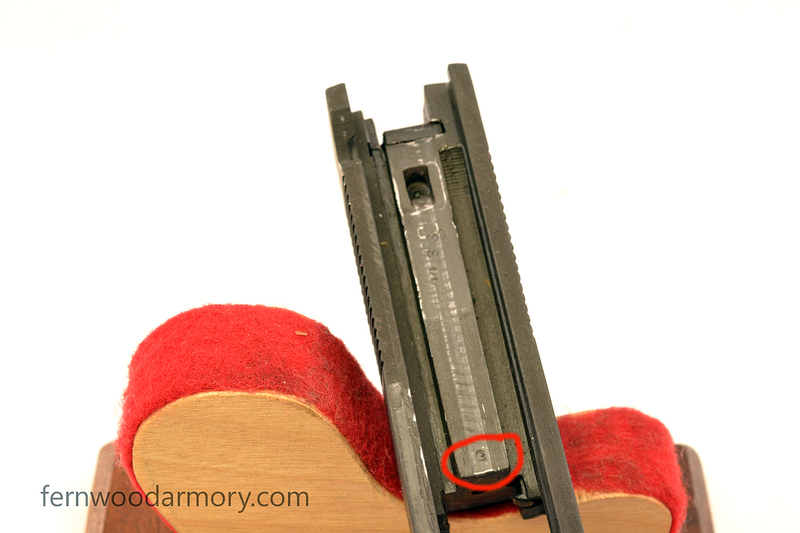 There is no "P" mark on the top of the slide, nor is there a serial number, as is correct for this serial range. The inside of the slide is marked "G" (government contract). Parkerized finish is very good, (we believe it is original). There are a few light scratches and handling marks, and some finish wear on the left side near the muzzle. Lettering and edges are very sharp. Free shipping. No FFL required.